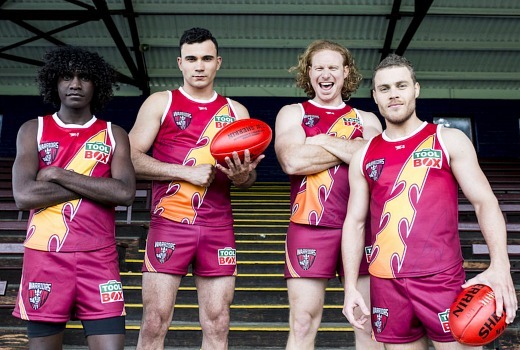 A new comedy drama series set in the world of AFL is filming in Melbourne for ABC. The Warriors stars Lisa McCune, John Howard and Vince Colosimo and emerging Indigenous actors. It will also feature Indigenous writers and directors including Jon Bell (Cleverman), Tony Briggs (The Sapphires) and newcomer Tracey Rigney. The 8 part series is created by Tony Briggs (The Sapphires) and Robert Connolly (Paper Planes, Barracuda), and explores the elite world of professional sport through the eyes of recruits and established players living in a share house. The cast includes Lisa McCune as the team’s communications manager, Vince Colosimo as coach and John Howard as club president -a nod to his 1980s role in The Club. 18 year old Gordan Churchill from the Kimberley will make his acting debut as Maki, the number one draft pick. WAAPA graduate Nelson Baker plays Zane, the number five draft pick. Ben Knight, Reece Milne (Home and Away) and newcomer Tasia Zalar also feature. Directed by Adrian Russell Wills (Wentworth), Beck Cole (Black Comedy), Steven McGregor (Croker Island Exodus, Redfern Now) and straight from a director’s attachment on Alien: Covenant with Ridley Scott – Catriona McKenzie (The Circuit, Redfern Now and The Gods of Wheat Street). Produced by Arenamedia with John Harvey. Sounds interesting. I hope it hits the mark. Too many Knights. Ben it is!